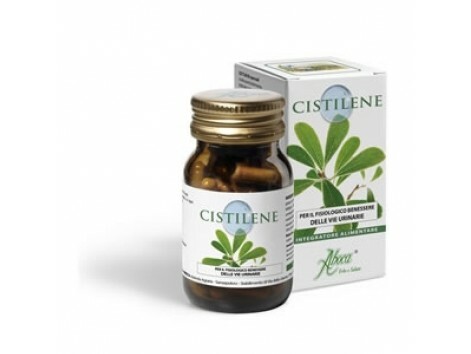 Aboca Cistilene 50 capsules With useful substances for the proper functioning of the urinary tract Cistilene Capsules is a 100% natural product, indicated as an adjunct to the physiological functions of the urinary tract due to its content in Bearberry and Goldenrod. The formulation is completed with essential oils of Cinnamon, Sage and Juniper. How to use: are advised to take 2 capsules 2 times a day. 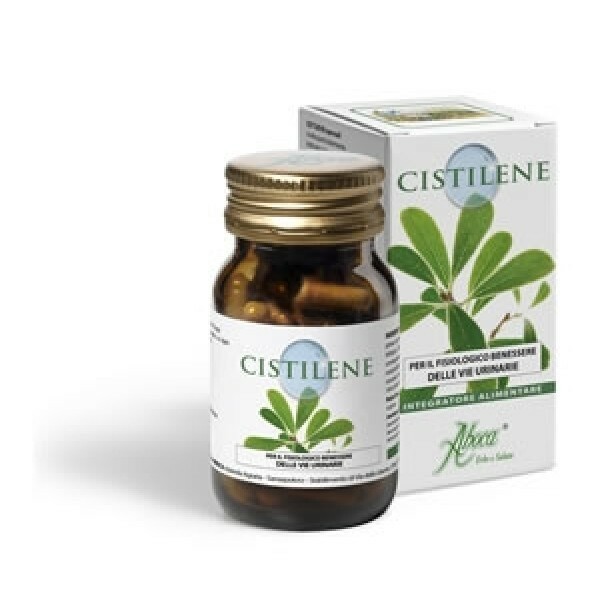 ingredients: Bearberry (Arctostaphylos uva-ursi) leaf powder, bearberry (Arctostaphylos uva-ursi) leaves lyophilized extract, Gelatin, Goldenrod (Solidago virga-aurea) dust tops, Goldenrod (Solidago virga-aurea) tops lyophilized extract, Cinnamon (Cinnamomum zeylanicum) essential oil, Juniper (Juniperus communis) essential oil, Salvia (Salvia officinalis) essential oil.